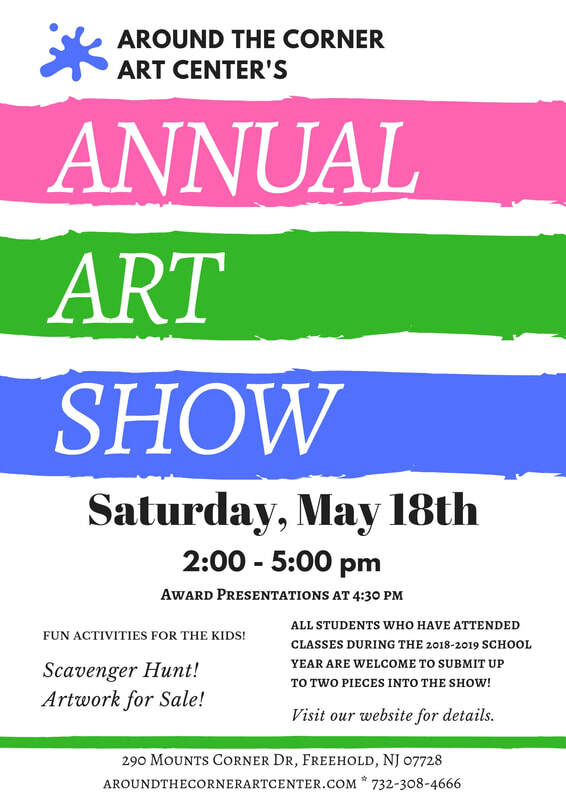 We hope to see all of our students at this year's art show! Artwork must be dropped off between May 11th and 17th...Talk to your teachers about any questions you may have! Each artist may enter 2 pieces of work. It must be delivered to Around the Corner before the day of the show, starting on May 11th. Artists must label their work with a price or nfs (not for sale) on the entry label provided here. Paintings on canvas must be wired and framed (or neatly painted on the sides). Artwork on paper must be wired and framed with glass or plexiglass. There will be a $4 fee to have artwork properly wired if it is not done so already (No zig zag hangers are permitted).